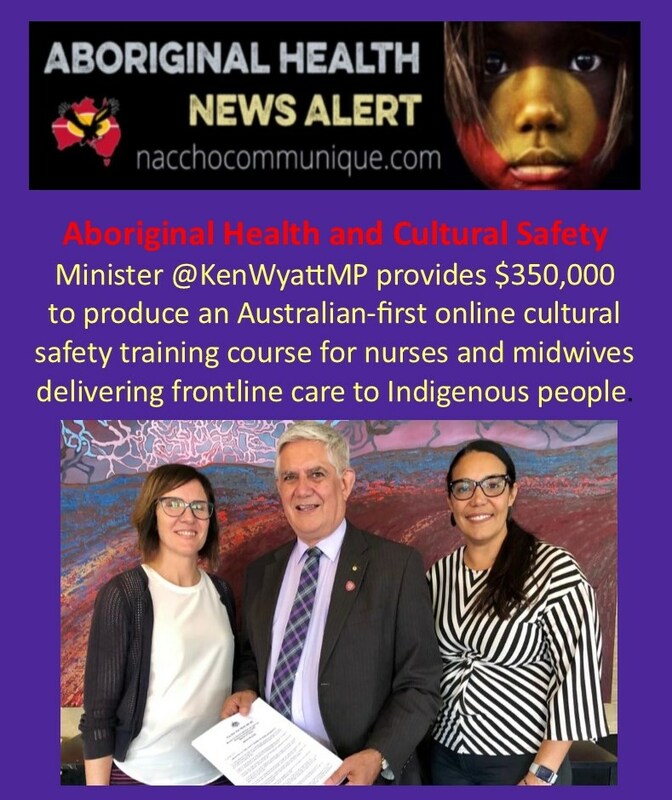 NACCHO Aboriginal Health #CulturalSafety and @CATSINaM News : Minister @KenWyattMP provides $350,000 to produce an Australian-first online cultural safety training course for nurses and midwives delivering frontline care to Indigenous people. “Providing culturally safe services is critical to Closing the Gap in health equality. We welcome CATSINaM’s initiative to share experiences and to learn from Aboriginal and Torres Strait Islanders to strengthen the capacity of health professionals to deliver culturally safe services for our people. The Federal Government will provide $350,000 to produce an Australian-first online cultural safety training course for nurses and midwives delivering frontline care to Aboriginal and Torres Strait Islander people. 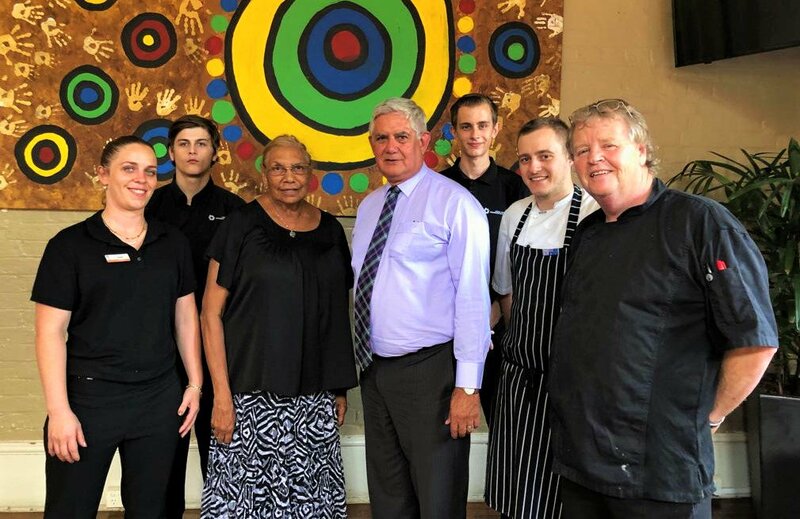 Indigenous Health Minister Ken Wyatt AM made the announcement at a national roundtable in Sydney on developing and rapidly expanding the Aboriginal health workforce. “Everyone using health services in Australia should feel valued and respected throughout their consultation and aftercare,” Minister Wyatt said. “Our Government, through the Indigenous Australians’ Health Program, will fund the Congress of Aboriginal and Torres Strait Islander Nurses and Midwives to develop the online cultural safety training course this year. “The online training program will be adapted for Australia from a successful model developed by Indigenous leaders in Canada,” said Minister Wyatt. The inclusion of cultural safety as one of the Codes of Professional Standards for nurses and midwives is driving an increase in demand for cultural safety training. “The importance of cultural safety training is recognised across the health sector,” Minister Wyatt said. “There is also potential for this initiative to build the cultural understanding of health professions beyond the fields of nursing and midwifery. Provision of cultural safety training also supports strategies under the Implementation Plan for the National Aboriginal and Torres Strait Islander Health Plan 2013-2023, to prevent and address systemic racism and discrimination in the health system. The Liberal National Government is providing $3.9 billion to improve the health of Aboriginal and Torres Strait Islander people over the next four years. 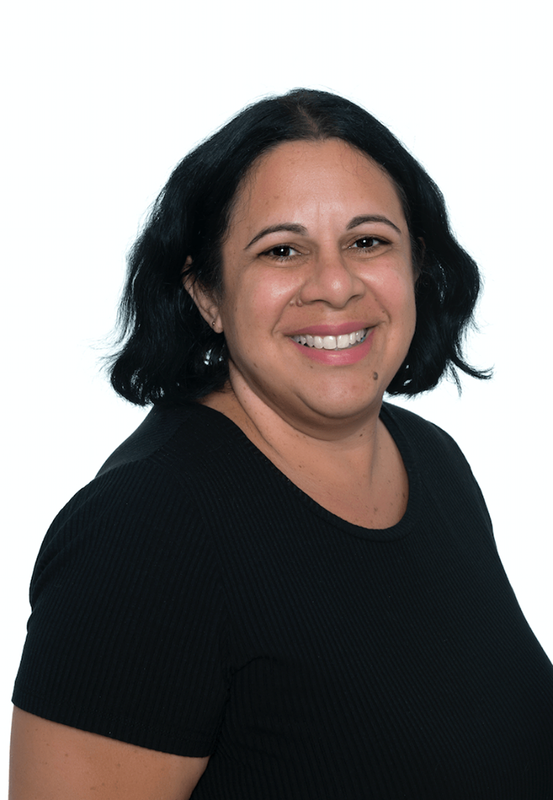 The Congress of Aboriginal and Torres Strait Nurses and Midwives (CATSINaM), the national peak body for Aboriginal and Torres Strait Islander Nurses and Midwives, today welcomes the appointment of Melanie Robinson as the new CEO. Ms Robinson, a nurse who has been a director of CATSINaM for three years, has worked clinically, in nurse training and policy development, most recently holding a senior position with the Western Australian Department of Health (see bio below). She will move from Perth to Canberra to take up her new position with CATSINaM on 4 February 2019.
. “Melanie brings valuable experience and a fresh perspective to the role of CEO,” Ms Tuala said. “Melanie knows the benefits and rewards of working as a nurse and has a deep understanding of the issues that Aboriginal and Torres Strait Islander nurses and midwives face on a daily basis.” Ms Robinson said it is an honour to be a part of such a vibrant and important organisation that advocates for Aboriginal and Torres Strait Islander nurses and midwives. Her priorities would include growing the number of Aboriginal and Torres Strait Islander nurses and midwives across Australia, and ensuring the workforce was strongly supported. As a passionate advocate for CATSINaM, Ms Robinson said the organisation had been critical for her own journey of professional development and she wanted to ensure that others had similar opportunities. Ms Robinson said she hoped that the wide-ranging experience she had gained over the last 30 years would be useful for CATSINaM and its members. She commended an Aboriginal Leadership and Excellence Development program that she undertook in WA for building her confidence to take on senior roles. Acting CATSINaM president Marni Tuala said the CATSINaM Board was keen to acknowledge the legacy of the outgoing CEO, Janine Mohamed. “CATSINaM recognises and commends the incredible achievements made by the outgoing CEO, Janine Mohamed. Her contributions during her six years in the role will not be forgotten, especially in the advocacy and implementation of cultural safety across healthcare. Janine will continue to be a valuable member of the CATSINaM community,” Ms Tuala said. Media Contact: Sarah Stewart: 02 62625761/ Melanie is available for interviews and profile articles. Bio – Melanie Robinson I was born in Derby in the Kimberley region of Western Australia and grew up on the Gibb River Road in Ngallagunda community. When I was 8 years old we moved into Derby for school and after that I went to boarding school at Stella Maris College. I finished year 12 in 1989 and then in 1990 I commenced a Bachelor of Science (Nursing) at Curtin University completing the course in December 1993. As a graduate I move back to Derby and completed 18 months in Derby Hospital working in paediatrics, general medical and emergency department. During this time I worked in Fitzroy Crossing hospital and the aged care facility in Derby called Numbla Nunga. In 1996 I travelled overseas and lived in London for 6 months and then I returned to Perth and began working at Royal Perth Hospital a tertiary service where I worked for the next 2.5 years in aged care, acute medical and the intensive care unit. In 1998 I travelled to Dublin and lived there for a year with a friend and her family, working in a local aged care unit. In 1998 I returned to Perth and commenced work in Princess Margaret Hospital where I worked in oncology, hematology and Intensive Care for the next 9.5 years. I loved working with children and their families, which is a very specialised area and often extremely challenging. In 2008 I decided to take a position as a nurse educator at Marr Mooditj Training and mentored and taught a number of Aboriginal students in enrolled nursing and Aboriginal Health Worker Programs. I loved this work and really enjoyed learning more about Noongar people and getting to know the local Aboriginal community. In 2013 I took on a new position as a Senior Policy Officer in the Western Australian Department of Health. In 2015 I managed to gain a promotion into a Senior Development Officer role and I completed a Masters in Nursing Research at the University of Notre Dame Australia in June 2018. In 2018 for 6 months I acted as the Director Aboriginal Health in the Child and Adolescent Health Service in Western Australia. In the future I plan to return to nursing and enrol in the Masters in Midwifery Practice to gain the skills as a midwife.